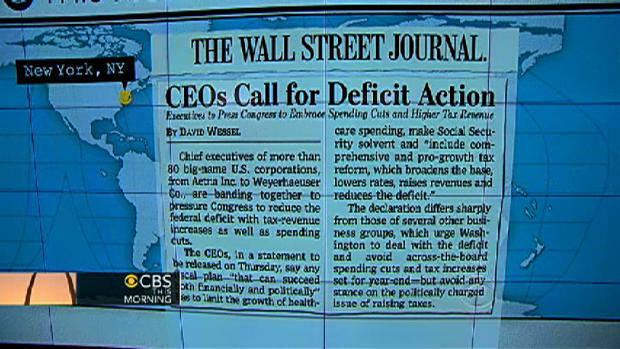 Hey folks, this is Obama’s plan to responsibly reduce the deficit. I bet the Romney/Ryan campaign feels betrayed by these CEOs. Let’s face it, Wall Street sees the handwriting on the wall. In other words, an Obama victory on November 6th. Maybe in term two of the Obama presidency he’ll have a Congress that will cooperate. Get rid of the Tea Party Congress, and then maybe the country wll have a chance to move FORWARD. This entry was posted in Economy, Politics on October 26, 2012 by speakingthosethings.